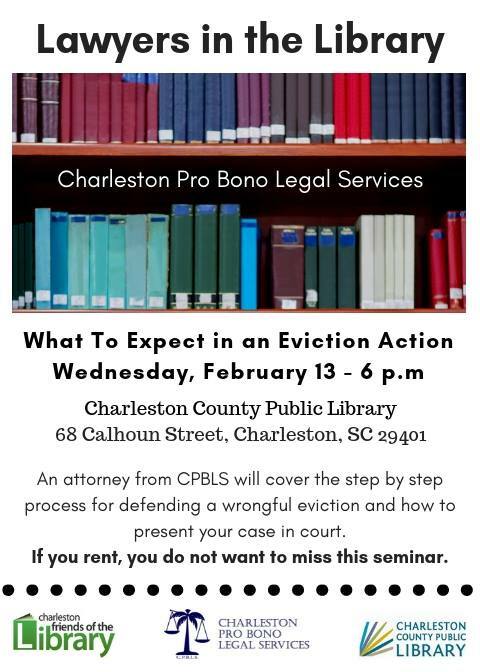 An attorney from CPBLS will cover the step by step process for defending a wrongful eviction and how to present your case in court. If you rent, you do not want to miss this seminar. Thanks to the Charleston County, City of Charleston, and the Joanna Foundation for sponsoring our outreach programming.